QE Home Quilts Etc. Canada Deals: Save 30%-50% Off Kids & Baby Bedding + Extra 20% Off Designer Linens + More! 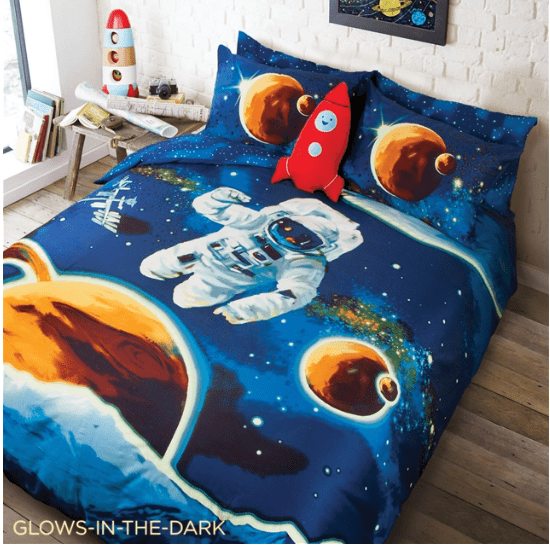 This Spaced Out Duvet Cover is on sale for only $62.99 (originally $89.99) as part of the deal on kids & baby bedding. You save $27! Travel to infinity and beyond with the Spaced Out collection. Painted by our in-house designers, the astronaut and planets float through a galaxy of deep blues and oranges. Turn off the lights to experience a glow-in-the-dark, starry night sky. The coordinate reverse is a dreamy, cosmos pattern. Available in twin, double, and queen sizes. 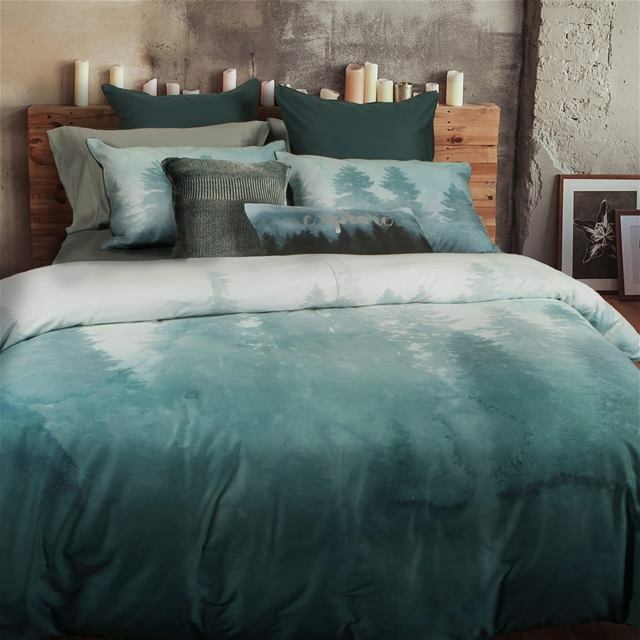 Duvet cover features inner twill ties to keep duvet in place, all pieces feature zipper entry. QE Home Quilts Etc. is offering free shipping on orders of $169+. Click here to start shopping at QE Home Quilts Etc. Canada!